Feature: A Video Game Discussion: The New Trend "Vintage" Games At Gamestop And The Sky High Prices. Recently Gamestop has started selling specific "rare" titles under their "vintage" used game label at a very high premium, including some recent Wii titles such as Xenoblade Chronicles released on April 6th 2012 for $89.99 and Metroid Prime: Trilogy for $84.99 which in both cases is over twice the MSRP. Our question is whether or not this is ethical as this practice could harm used game sales and in effect harm the industry itself as roughly half of all game sales are from the second hand market and there are many who cannot regularly afford new games or pre-orders. Will this trend also be used to inflate used "Retro" titles at retro game shops as well? Only time will tell, but this trend will certainly make it harder for the average gamer to experience limited release titles and will likely drive online prices through the roof. The only positive aspect to this is if you bought extra copies of the game, you'll likely net a huge profit, but for non collectors this issue is certainly a major headache. Anyways we'd like to know what you, our viewers think about this subject! Let us know in our comments below! Re: Feature: A Video Game Discussion: The New Trend "Vintage" Games At Gamestop And The Sky High Prices. I'm glad that Game isn't pulling this, but I'm sure they will get some ideas from this. I think this is a legal and moral greyzone that should not be allowed and it is a disgrace to the industry. Do you want to know what's even worse about this ? there has been accusations towards Gamestop saying how they are actually selling newly-printed games, but the reason why they are sold used and with a higher price is because the company decided do remove the plastic wrap on the game cases so that they can instantly become "used" and then sell it for whatever price they want ! ^ The last thing I purchased from GameStop was a new copy of Xenoblade Chronicles. I don't shop there, unless I have to. This is really sad for people who didn't get these games when they were still cheap. By the way Gamestop is actually giving $45 trade-in credit towards used copies of Xenoblade Chronicles not that I'd recommend selling the game. Gamestop is a group of legalized black market dealers things like this just prove that their corporation has lost touch on the fact that customers are more important than extra profit per sale because if you lose most of your customers you lose most of your sales. This is why you shouldn't shop at Gamestop, well this and the fact that they sometimes sell used games as new. 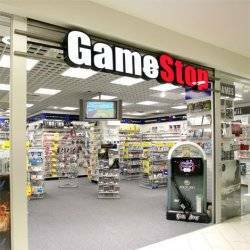 Gamestop is a shameless corporation. Apparently the prices for Xenoblade Chronicles in the UK aren't that bad, I've just visited the GAME site and it's relatively inexpensive there. One of the reasons GameStop gave for the high cost of the game was because when it was originally released it wasn't widely distributed in North America but I think they're using that as an excuse for profiteering. I don't like how Gamestop is handling the pricing of used games that are rare now.